Introducing the First and ONLY Adjustable Picnic Table made! 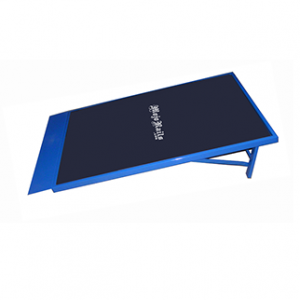 The Mojo Picnic Bench is perfect to do all of your favorite tricks then have a snack and chill. From the Noseslide to a Crooked Grind, if you know how to do it… DO IT! 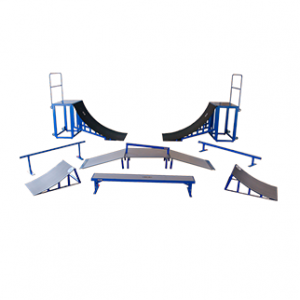 The Mojo Picnic Bench is perfect for perfecting your Skateboard, BMX Bike, Extreme Scooter, Snowboard, Inline Skate trick skills. 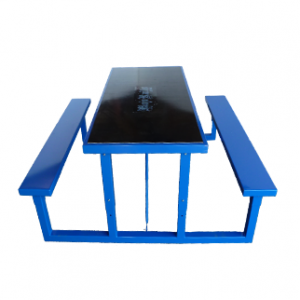 With a heavy steel frame construction and durable polyethylene ramp surface, this will be able to withstand your best and your worst! Weighing in at only 98lbs you have the ability to test your skills the way YOU want, where YOU want, at the level YOU are at.